To say I’m obsessed with pillows may be an understatement! I just love how they can completely change the way a space looks for not a big investment! 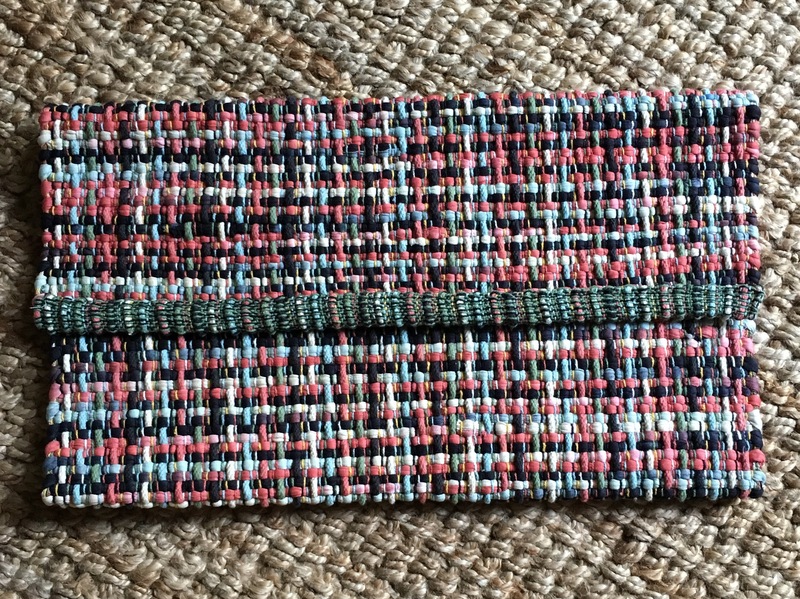 Since I’m a DIY’er I am constantly making new pillow covers out of all sorts of materials! 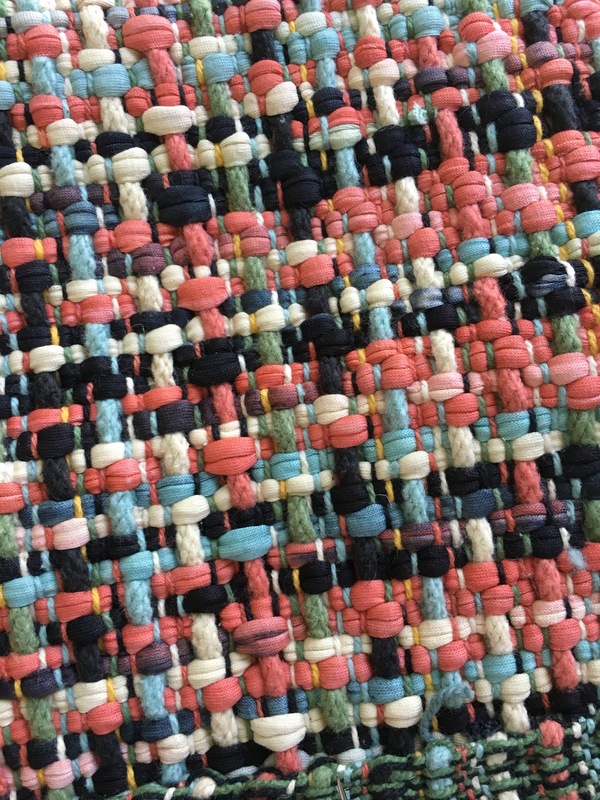 I’ve used cloth napkins, curtain panels, tablecloths, sweaters, placemats and now rag rugs! I was looking for new pillows for my front porch and since it was late summer most of the outdoor pillows were well picked over and not really what I was looking for.. So one day while I was at the dollar store I found these rag rugs that had all the colors I was looking for the fall season! I have seen pillows at Homegoods with this type of cover on it so I decided to try it! The first pillow I made the envelope back out of leftover drop cloth material. 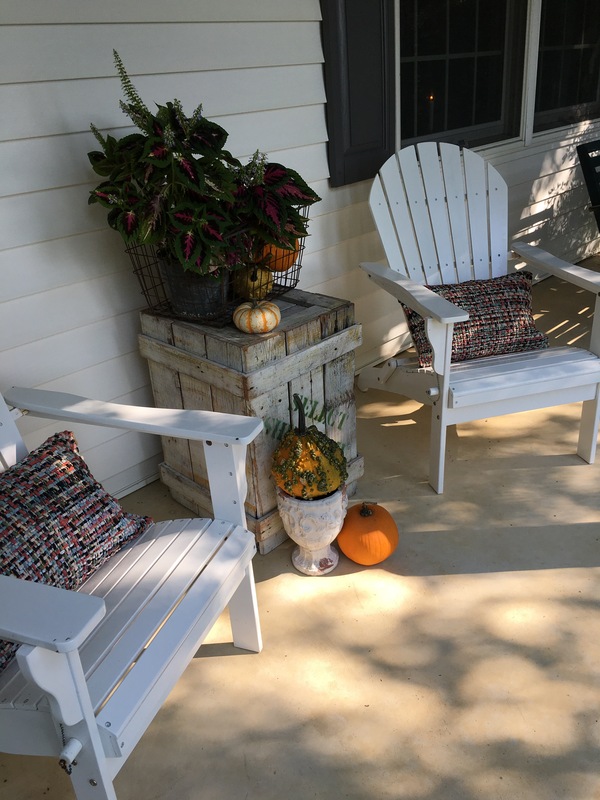 It worked out ok but was about all my good old sewing machine could handle…So I decided to make lumbar type pillows for my adirondack chairs. 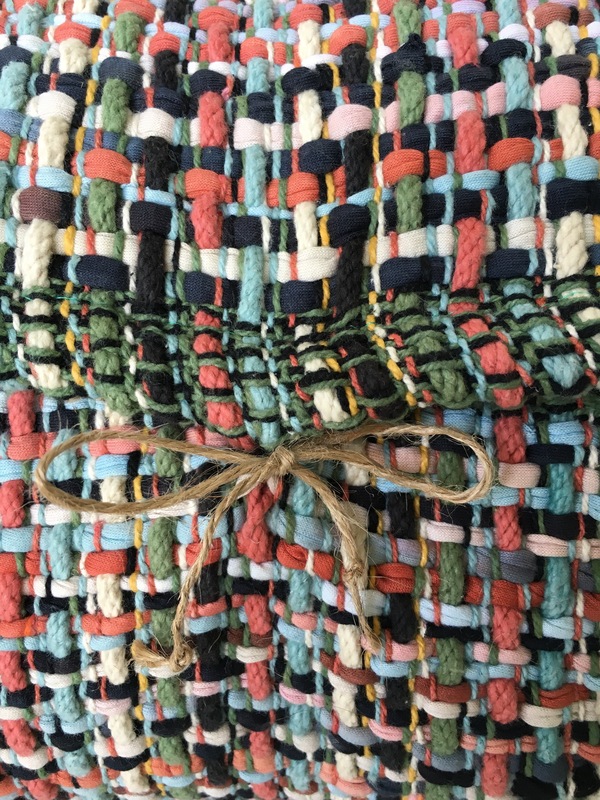 Each rug is approximately 20″x30″ so I overlapped the back a couple inches so the final size is 12″x 20″ and a travel pillow form fits perfectly! Instead of challenging my sewing machine with the thick layers I used some jute twine and whip stitched the sides together! 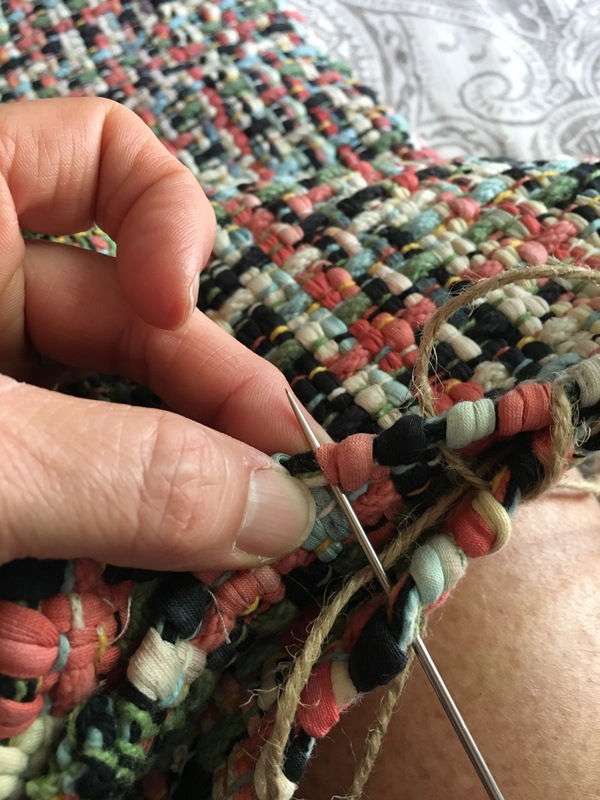 I ran the twine between the loops and progressed down the sides with a stitch every couple loops of the rug weave. 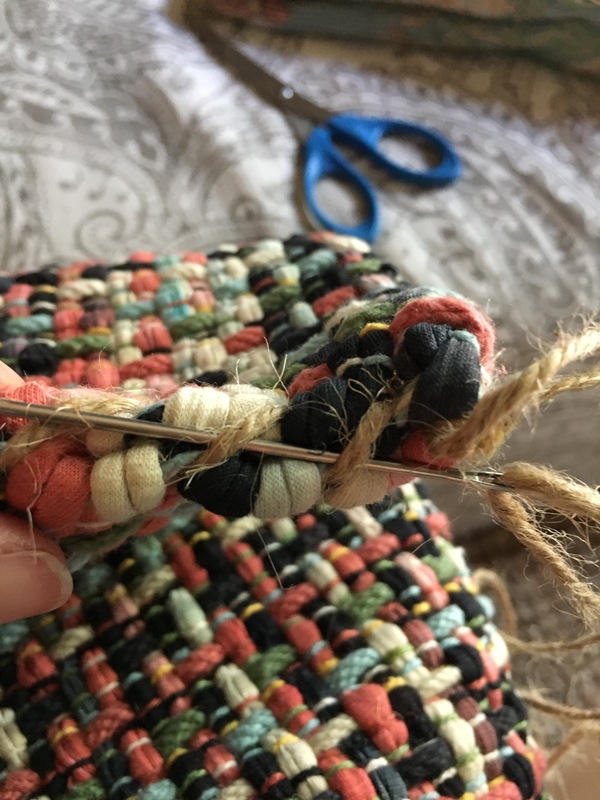 When I got to the end I just tied off the the twine and fed it back down through a few stitches and tied it off again to make it extra secure! 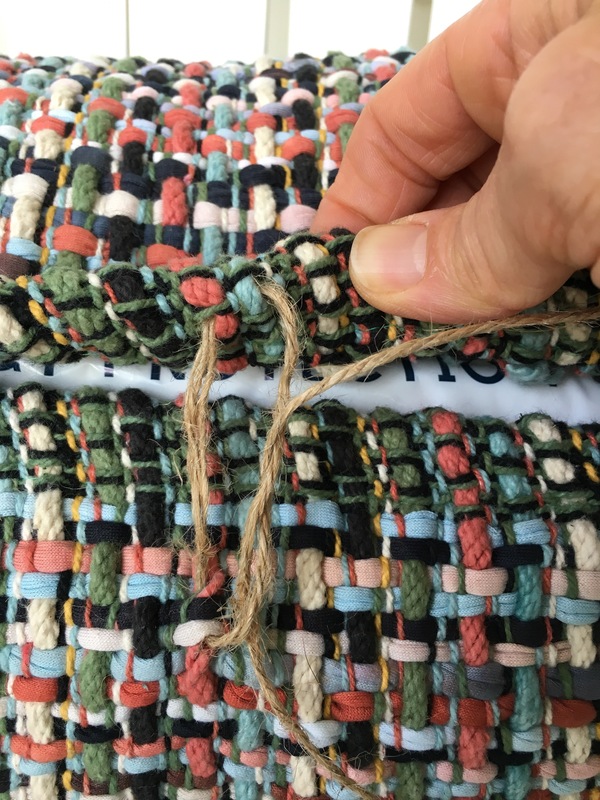 After putting the pillow form in I ran some jute twine through the weave to keep the envelope back closed. Next > JORD wood watch Giveaway! !